1953-1955 - As a soldier in the United States Army stationed in Korea in 1953, Stu Auerbach learned how to operate army mine detectors and became fascinated with the possible civilian uses of metal detectors. After his discharge in 1955, Auerbach purchased surplus military mine detectors and took them to a nearby beach in Miami Florida to see what he might find. As Auerbach later said, "It was a bonanza of coins, rings, jewelry, keys and other metal objects". Stu soon drew crowds of people each time he went to the beach wanting to see what he was finding. 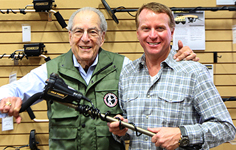 When people asked him where they could get a machine like his, Auerbach was quick to sell them others that he had in his car, and a business selling metal Detectors was born that later became Kellyco Metal Detectors, the largest retailer of metal detectors in the world. 1960-1964 - Spanish silver treasure coins were found on a beach in Ft. Pierce Florida by a man using a surplus army mine detector. The "find" led to the discovery of the remains of the 1715 Spanish Treasure Fleet which generated a huge amount of publicity on national television as well as newspapers and magazines throughout the world. The rush to find treasure had begun. People wanted metal detectors for beach hunting and metal detectors to search in the water. Kellyco was right in the middle of this new search for treasure and word spread that the place to get your metal detector for the beach or in the water was at Kellyco Metal Detectors in Florida. 1969 - Auerbach knew that the sport of metal detecting had the possibility of growing from a small group of dedicated detector users to a world-wide hobby that everybody, men, women and even youngsters could enjoy. Stu wanted the world to know the fun and excitement of treasure hunting with a metal detector so he decided to publish a catalog with metal detectors, detecting accessories, and books on treasure hunting. The catalog was advertised in newspapers and magazines and the demand grew from a few hundred to a few thousand, and soon Kellyco was mailing over one million catalogs a year. 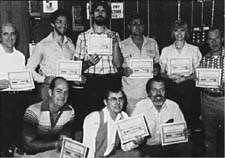 1970-1989 - During the 70's and 1980's, Kellyco established the Kellyco Metal Detectors Test Team with a number of well experienced, dedicated metal detector users who were recognized experts. 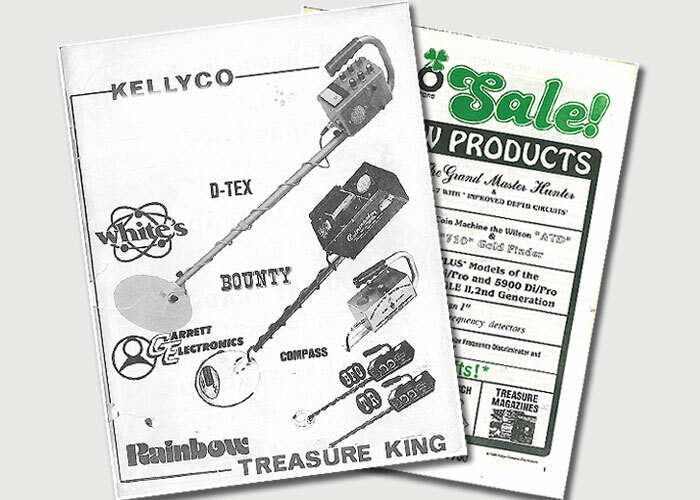 Kellyco Team members worked closely with detector manufacturers to help them produce metal detectors with features that would benefit newcomers and experienced treasure hunters alike. Kellyco also established "Adventurers International" a company where Stu Auerbach and his Team would guide metal detector enthusiasts (and their wives) on treasure hunting trips to islands in the Caribbean where they experienced detecting for real treasures. And in 1988, Kellyco moved into their new 30,000 square foot building in Winter Springs Florida complete with a large showroom/museum plus space for their 40 plus employees. 2000-2011 - Kellyco Metal Detectors, winner of multiple awards for customer service has expanded into the world’s largest supplier of metal detectors direct to customer who visit Kellyco’s showroom and Treasure Museum or order by phone or take advantage of ordering directly on line at kellycodetectors.com. Kellyco maintains a stock of over 2500 metal detectors and provides FREE accessories with most detectors. Kellyco also offers a huge selection of metal detector accessories, books and maps. A customer service department, plus metal detector service center is available. As well as detector repairs, Kellyco can professionally customize metal detectors. If it has to do with metal detectors and treasure hunting, Kellyco Metal Detector Experts can answer your questions and supply whatever you need. 2012 - Stu decided to reduce his work load to take more time to metal detect and treasure hunt, his first love. Stu has hundreds of invitations to metal detect all over the world from customers and friends from Poland, Russia, Germany, Bulgaria, France, Italy, Spain, as well as most European countries. Stu also has an invitation to go to China and other countries in Asia and the Middle East. Stu’s son David has stepped up after having a lifetime of metal detecting experience from the time he was 8 years old. In Kellyco’s showroom are pictures of Stu and David hunting old fort sites on Islands in the Caribbean. David grew up with a metal detector in his hand and brings years and years of experience to move Kellyco Metal Detectors into the future. 2015 - On August 1st, Kellyco hosted an Event celebrating their 60th Anniversary along with the Grand Re-Opening of their newly remodeled showroom and the Commemoration of the 300th Anniversary of the 1715 Fleet! Metal detectorists and treasure hunters came by the hundreds to join the celebration. Representatives from all your favorite metal detecting brands were there including Minelab, Garrett, White's and 1st Texas. Kellyco also brought in TV celebrities including Tim "Ringy" Saylor and "King" George Wyant from the NatGeo show "Diggers", who gave autographs and posed for pictures. Many folks who joined also left as big winners from the many metal detector giveaways and prizes offered by Kellyco. 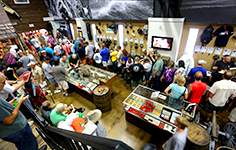 The Event overall was a huge success not only for Kellyco but for the whole metal detecting industry! 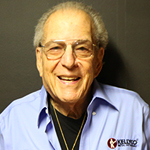 2017 - It is with heavy hearts that we pass on the news that Kellyco’s founder, Stuart Auerbach, passed away on Aug. 31st peacefully at his home with family by his side. Stu was a great husband, father, grandfather, veteran, leader and friend to many and will never be forgotten. 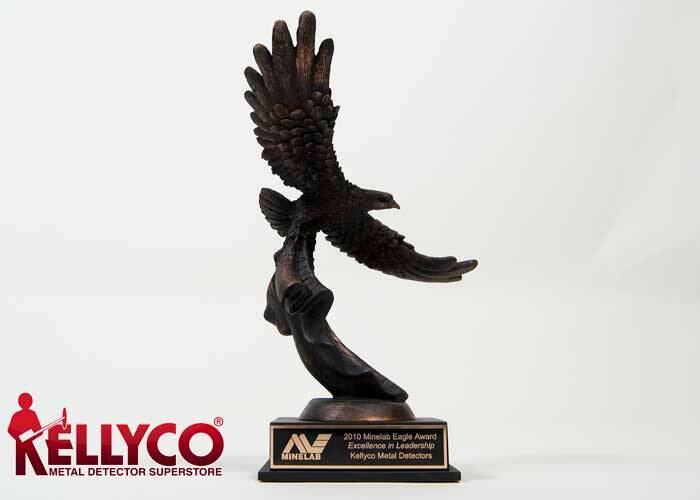 The core foundation of Kellyco was built on his vision to bring families together, preserving history and sharing the hobby with the world. He became a pioneer by supplying metal detectors to the masses and made it a household name. Kellyco Metal Detectors will continue to operate and service the metal detecting community under the same core values Stu started over 60 years ago. His vision will be maintained and strengthened through his son, David Auerbach and family. Stu’s legacy will continue to influence the treasure hunting community for years to come.